Do you want to buy or sell a property in Scarborough? Well, that’s where Emoov can help. We are rated the UK's No.1 Hybrid Estate Agent who list properties in and around Scarborough and all over the UK. Scarborough is a town and famous seaside resort on the Yorkshire coast. One of the county’s most popular tourist destinations, the town is nearby to York, Leeds, Hull, Bradford and Middlesbrough, while the North York Moors National Park is right on Scarborough’s doorstep. Scarborough is well-connected to other major towns and cities by bus, rail and road. The town’s architecture, buzzing cultural scene, growing digital and creative industries and close connection with the sea make it a popular living destination for a wide range of demographics. 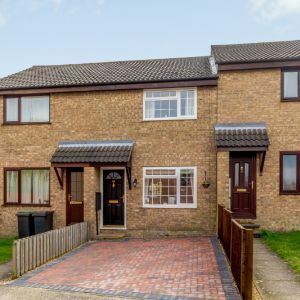 An always popular town for buyers, who appreciate the close links to major cities like York and Leeds and the more relaxed pace of coastal living. Demand will therefore be high, which will be music to the ears of those looking to sell. If you’re looking to sell your home in Scarborough or one of its surrounding towns and villages, give Emoov a call to see how we can help you. You can also contact our team for a free property valuation today.